Bitfinex is a digital asset trading platform offering state-of-the-art services for digital currency traders and global liquidity providers. Founded in 2012, Bitfinex was one of the first professional platforms set up to accomodate for the booming interest in cryptocurrency trading. Since then, our team has gained invaluable experience whilst cementing our spot as the go-to platform for digital asset traders and institutions. 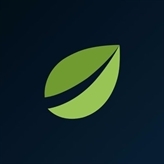 In addition to a suite of advanced trading features and charting tools, Bitfinex provides access to peer-to-peer financing, an OTC market and margin trading for a wide selection of digital assets. Bitfinex’s strategy focuses on providing unparalleled support, tools, and innovation for professional traders and liquidity providers around the world. Join us and lay the foundation for a decentralised future.